When designing grandstands and stadiums the real challenge for a structural engineer is not the static strength or stiffness of the structure but the way in which the structure responds to the imposed dynamic loadings from both crowds and wind. 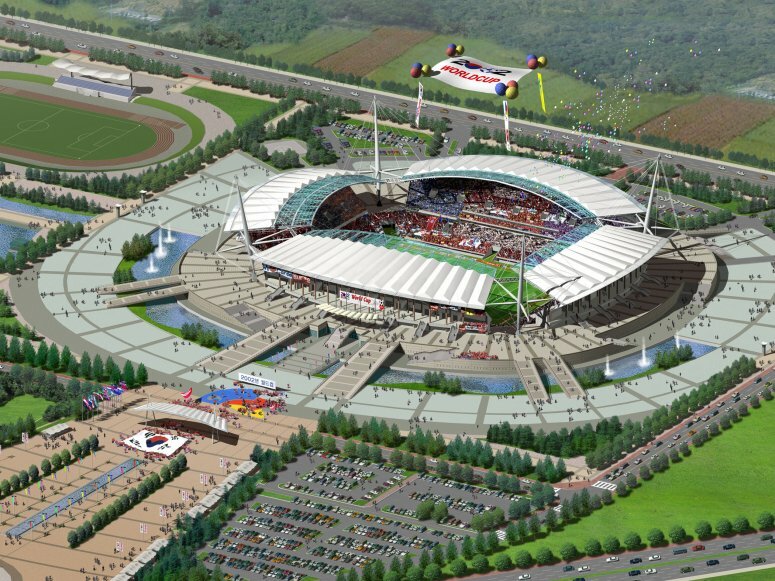 With modern stadium design requiring large cantilevers to give clear views and protection from the weather there is a potential for these roofs to be quite lively structures. Accurate prediction of the natural frequencies and calculation of the effects of the imposed loadings is therefore very important. 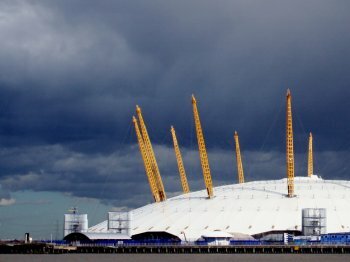 The UK Guide to safety at sports grounds specifies that where a seating deck has a vertical frequency of less than 6Hz or a sway frequency of 3Hz then a full dynamic evaluation of the structure should be carried out. Modern elegant and economic designs are likely to have fundamental frequencies well below these values and so require a full dynamic analysis to demonstrate suitability. LUSAS Civil & Structural is used by consultants to design stadiums and grandstands all over the world and has been proved to be ideal for this type of staged construction and dynamic analysis work. 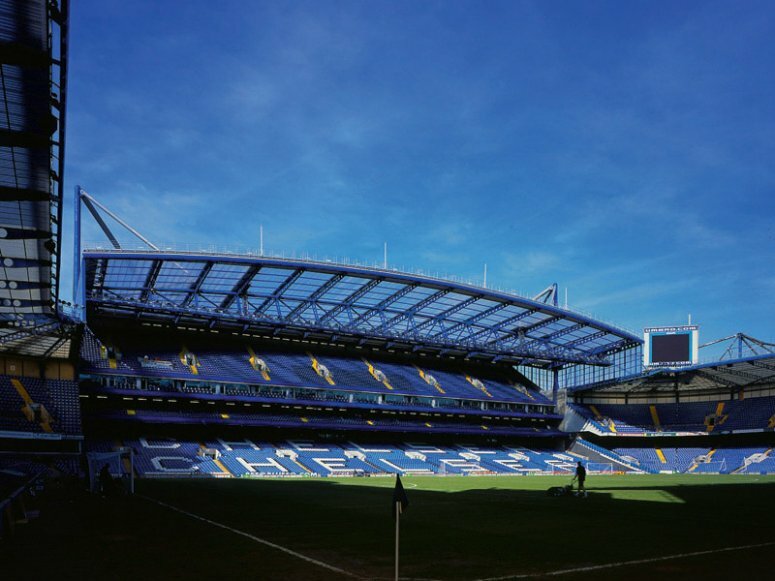 An undamped natural frequency analysis of the roof of Chelsea Football Club's West Stand was performed by Whitby Bird & Partners using LUSAS Civil & Structural. The roof features one metre deep cellform beams supported by a 105m truss. The LUSAS analysis predicted more than 100 separate frequencies (eigenvalues) below a frequency of 5Hz. Further LUSAS analysis concentrated on the 15 separate modes of vibration below 1Hz and these results were compared with results from a wind tunnel test on a 1:250 scale model of the proposed roof at Bristol University's Department of Aerospace Engineering. The stand seats over 13,000 in four tiers and the 11m cantilever of the middle tiers was the engineering focus of the six storey structure. Cantilever forces generated here are so great that a storey-deep braced steel frame is concealed in the walls, anchored by post-tensioned cables and massive steel nodes cast into the concrete structure. Bays of precast terracing are supported by paired 762mm deep beams with a central hanger to the braced frame. 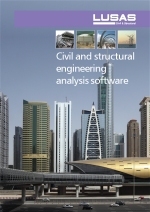 A LUSAS eigenvalue analysis of the West Stand's cantilever tiers indicated a lowest frequency of approximately 2Hz. A modal analysis was carried out to extract the cantilever tip deflection under dynamic excitation across a range of frequencies. Mass dampers were modelled using joint elements to study their effect on the dynamic response. 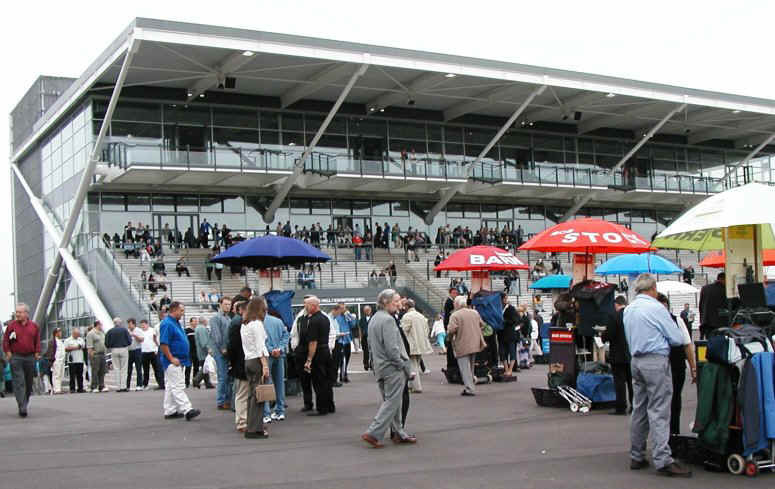 The Tattersall Stand at Newbury Racecourse, also designed by Whitby Bird & Partners, features an unusual X-frame as an alternative to conventional cantilever grandstand design. Tapering tubular X-frame members reduce from 660mm diameter at the base to 273mm diameter at roof level and a 356mm x 406mm Universal Column ties the legs of each X-frame together to ensure that only vertical and lateral loads are transmitted to the piled foundations. The dynamic loading from racegoers imposes unusual loads on this relatively lightweight structure and according to Charles Benson, the Whitby Bird & Partners engineer responsible for the design, the X-frames have interesting characteristics in that vertical deformation tends to produce sway. However, analysis using LUSAS Civil & Structural showed that with more than 5000 spectators jumping up and down in unison there was no real risk of excessive movement. 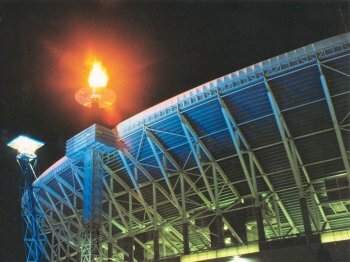 Why LUSAS for grandstand and stadium design?